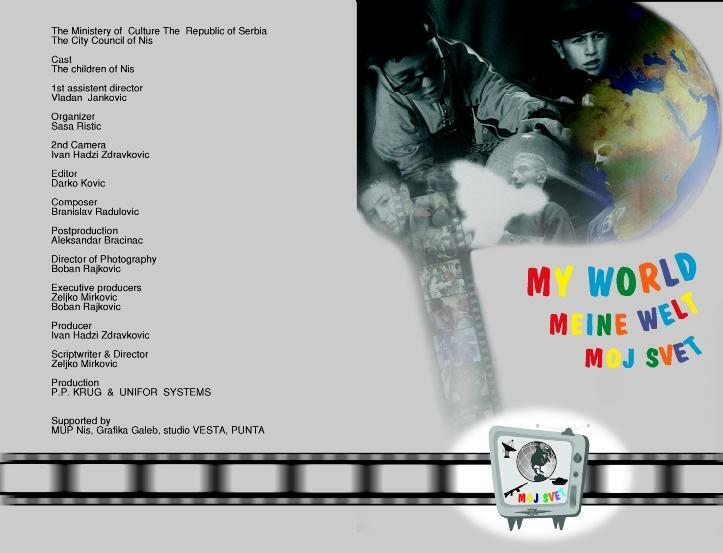 This is documentary about media reflection on children after 10 years of wars in Yugoslavia. brief synopsis In the world today, more than 400.000 children under 14 years fight in various armies. Media world which around our children is full of evil, criminal, wars and other violence. 1. 13-year-old children make their first feature film about a conflict between the Italian and Serbian Mafia which arose because of the secret code which enables them to start the satellites and atomic bombs belonging to the EU government. 2. 10 or 11-year-olds from two neighboring streets have declared their streets the states and are at war with each other armed and organized as real armies. 3. Little Dimitrije, aged 8, is an inventor with his FLY-BALL project, a flying ship equipped with a perfect computer which turns bad people into good ones with non violence language, thus saving the world from evil.